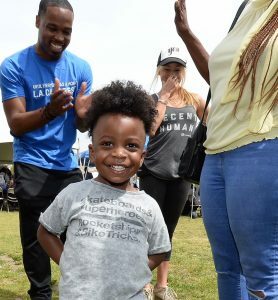 Hundreds of people in Exposition Park got an up-close look at solutions to homelessness during United Way of Greater Los Angeles’ first-ever Everyone In pop-up community event. They were treated to a virtual reality experience in which formerly homeless people now leading stable lives shared their powerful stories of how supportive housing helped them. Everyone In organizers encouraged attendees to volunteer and be engaged at every turn. On hand to talk about their work, and how volunteers can help, were more than 30 nonprofit organizations in South LA that provide transition assistance to jobs and housing, and other services. 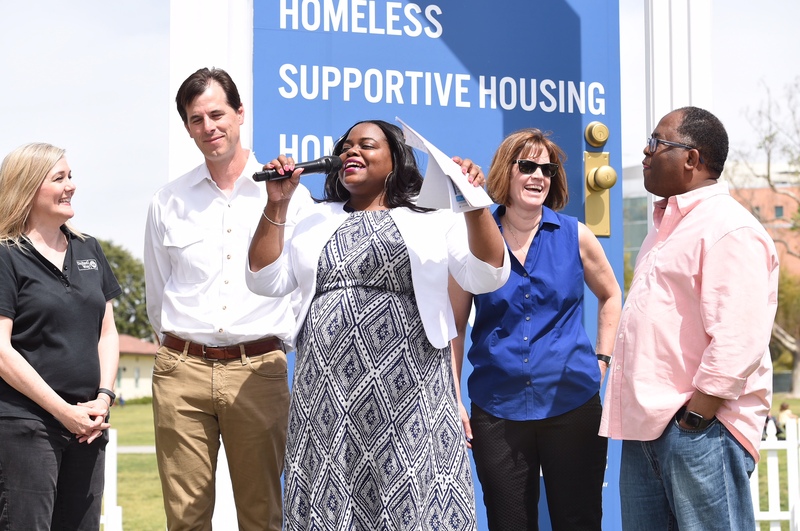 Just over a year ago, voters passed Measure H and Proposition HHH, taxing themselves to fund supportive housing and other services to address the crisis of homelessness. Supportive housing — which combines apartments with on-site services — is safe and well designed, with a 90 percent success rate at keeping people from going back to living on the streets. A recent poll commissioned by United Way found 69 percent of LA County voters said they want supportive housing for homeless people built in their own neighborhoods. Powered by United Way, Everyone In is a campaign aimed at engaging and activating people across LA County to take part in helping their most homeless neighbors obtain the services they need to build stable lives. The pop-up community event in Exposition Park is the first of many large engagement events that will take place across LA County throughout the year. Everyone In brings together a coalition of leaders from government, business, philanthropy, faith-and community-based organizations to encourage everyone to take part in solutions to homelessness. 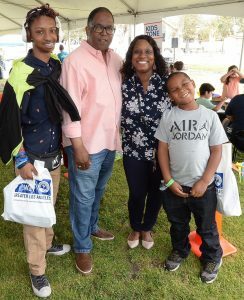 Other leaders who participated in the activities at Exposition Park were Wells Fargo vice president for community affairs Gregg Sherkin,Natural History Museum President and Director Dr. Lori Bettison-Varga, and SSG-HOPICS Director Veronica Lewis. Everyone In brings together a coalition of leaders from government, business, philanthropy, faith-and community-based organizations to encourage everyone to take part in solutions to homelessness. United Way’s Elise Buik, Wells Fargo’s Gregg Sherkin, SSG-HOPICS’ Veronica Lewis, the Natural History Museum’s Dr. Lori Bettison-Varga, and Supervisor Mark Ridley-Thomas attended the Exposition Park community event. All photos by Diandra Jay.